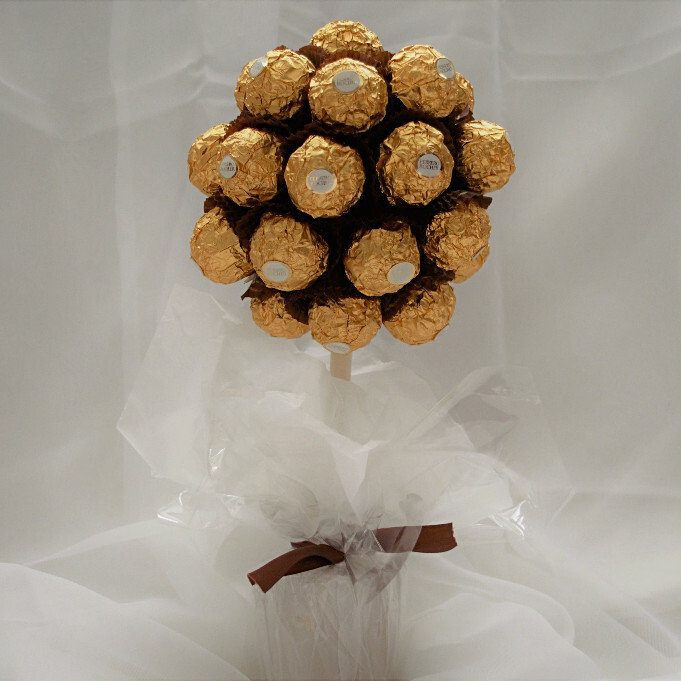 Ferrero Rocher sweet trees make the ideal gift for a friend or loved one. 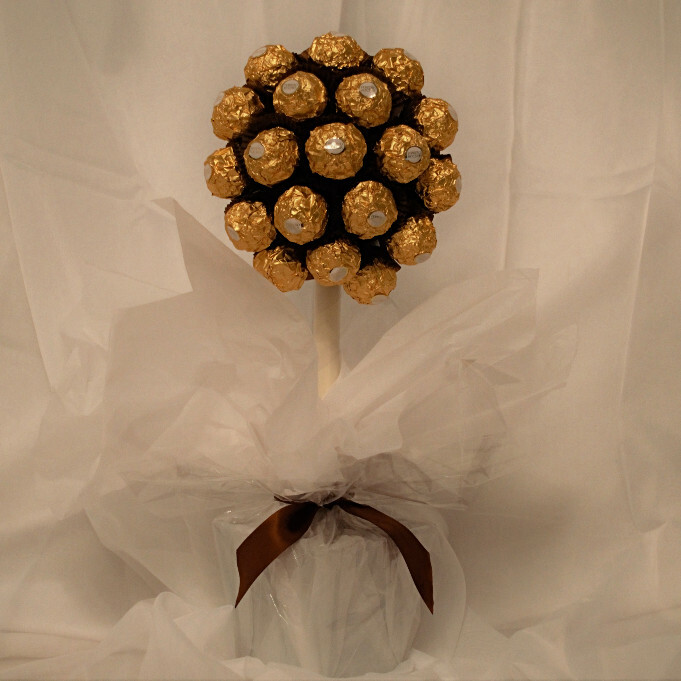 They also make great centrepieces for any event or celebration. 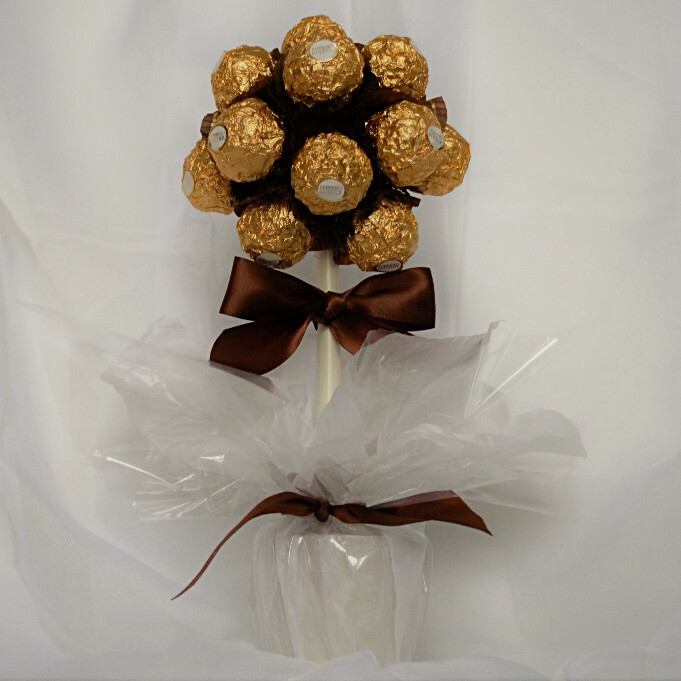 Each tree is handmade to order and available in sizes small, medium or large. Small trees contain approximately 17 individually wrapped chocolates. Medium trees contain approximately 30 individually wrapped chocolates. Large trees contain approximately 40 individually wrapped chocolates. Please leave us a note in the order comments if you require a different colour ribbon or tissue.